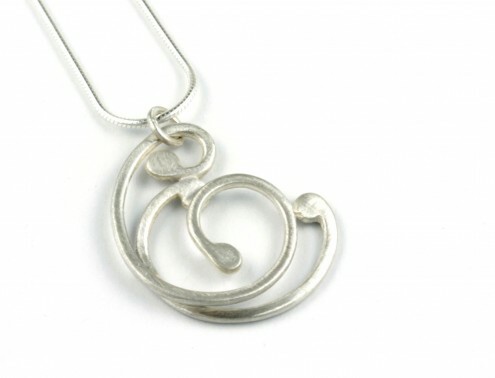 Silver Baroque Necklace, 16″ with 18″ extension, on silver snake chain. This baroque shape is coded C. They can have a matt or polished finish. (Picture is matt).